Senator Joe Biden will face an injured Sarah Palin in tonight’s debate after the Alaska governor took a spill jogging around running mate John McCain’s Sedona, Arizona home. Sarah Palin, who is the Republican vice presidential hopeful, reportedly hurt her hand while taking a break from debate prep Monday. The Alaska governor arrived in St. Louis today wearing a bandage on the injured hand and is expected to sport it during the vice presidential debate. It seems that Sarah Palin is not the only injured participant in tonight’s debate because the moderator Gwen Ifill broke her ankle Monday. Ifill visited Washington University, the site of tonight’s debate, in a wheelchair Wednesday. Sarah Palin’s camp says the injury should not affect her performance in the upcoming vice presidential debate. Vice presidential debate time kicks off tonight at 9 p.m. ET on PBS. Tonight’s vice presidential debate is expected to draw in record viewers as Joe Biden and Sarah Palin appear on television together and answer questions posed by Gwen Ifill, senior correspondent for News Hour with Jim Lehrer. Meanwhile, Republican Sarah Palin and Democrat Joe Biden share the same stage in a vice presidential debate on Thursday, but the spotlight will be on the untested Palin as she tries to ease doubts about whether she is up to the job. The lone match-up of the vice presidential contenders before the November 4 election promises more than the usual drama, most of it supplied by Palin’s debut in an unscripted format. The encounter could possibly draw a larger television audience than the 52 million who watched last week’s first debate between the presidential candidates — Republican John McCain and Democrat Barack Obama. 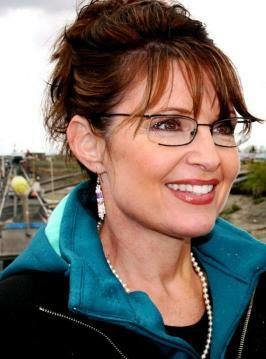 McCain’s surprise choice in August of the relatively unknown Palin as his No. 2 rallied conservative support for the Republican ticket and turned the moose-hunting Alaska governor into a political celebrity. But her lack of national experience and her hesitant performance in rare media interviews raised doubts about her readiness and prompted criticism even from some prominent conservatives. She hopes a solid debate performance can halt Obama’s momentum and erase concerns about her ability to step into the top job if needed. McCain, 72, would be the oldest president to begin a first term.